I have people coming into my shop looking for furniture so I decided to make a few more pieces. This is a hall or sofa table. I’m using spindles for the legs. I bought a box of them over five years ago from someone who had leftovers from making a staircase and railings. Although spindles like this are nicely turned, they usually have squared off sections on both the top and the bottom. While I’ve seen people use them for table legs, I find they look awkward with the squared off end on the floor and you would never see a table like that in a furniture store. That all being said I rounded off the corners and made some round disks to add to the bottom of the spindles. 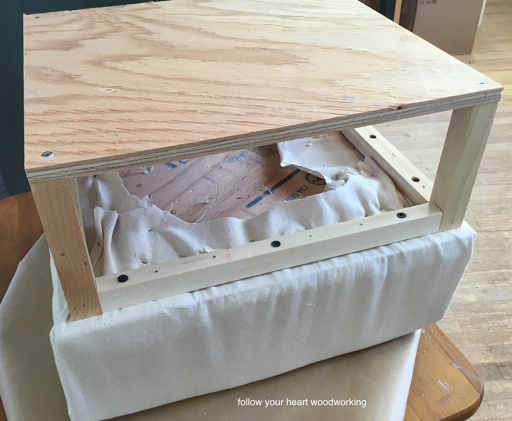 As I’ve shown before on this blog, I connect my tables using mortises and tenons, I don’t typically screw the parts together. To make the mortises this time I used my router in my homemade router table. Below you can see on the left is the nozzle for my shop vac, a piece of wood that I use as a “stopper” and the fence that guides the wood so that the router bit is centered on the spindle leg. And this is what the top of the leg looks like after the two mortises are put in. The wood for the aprons is thicker than the mortises so I then take some wood off of each side of the apron pieces so that they make tenons that fit in the mortises. I use my table saw for that step. The apron pieces tenons still have to be shortened to fit them even with the top of the legs. The legs and aprons were painted white and then distressed and covered with stain, then I put on a clear coat of polyurethane. For the top I used pieces of wood that were painted different colours ranging from white to dark turquoise. They were then distressed, stained and clear coated. Underneath I used table clips that fit into slots in the front and back apron pieces. This allows the top to widen or narrow with changing humidity. This table is tall, narrow and long, perfect for a hallway or behind a sofa. We really needed an ottoman for our living room. 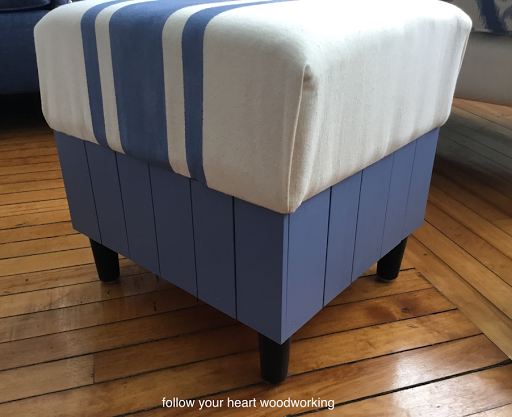 We have been balancing a pillow on an old stool, and it was just not the right height nor nice looking! First I measured what height I needed to make it work comfortably and then worked backwards from there using the measurements that I did know. 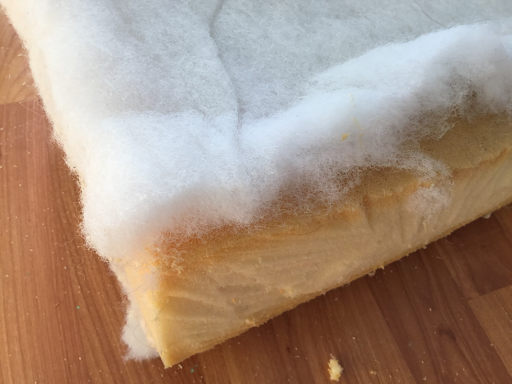 The foam was 5″ thick and from an old couch cushion. 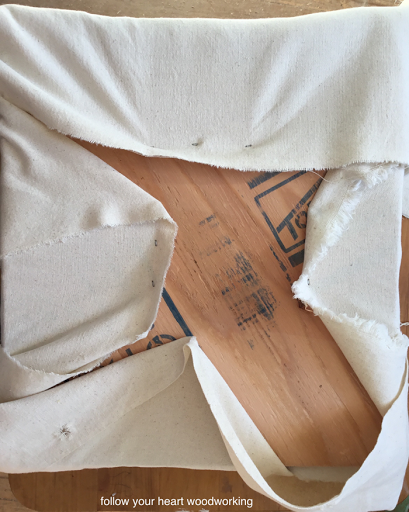 I cut it to a size of 15 1/2″ wide x 14″ deep, which seemed a good size to fit two outstretched legs and feet. 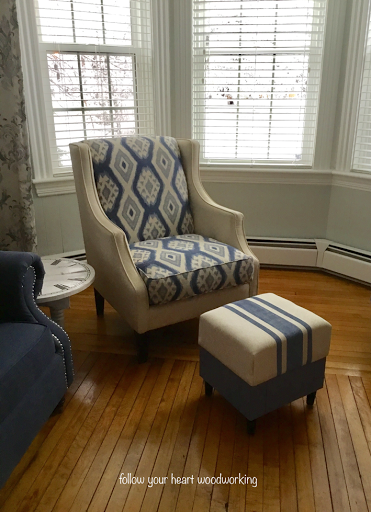 The legs I used for the ottoman were from an old chair, I stained them a dark brown to match the legs of our chair as well as our couch. I used 1/2″ plywood under the foam and another piece above the legs. 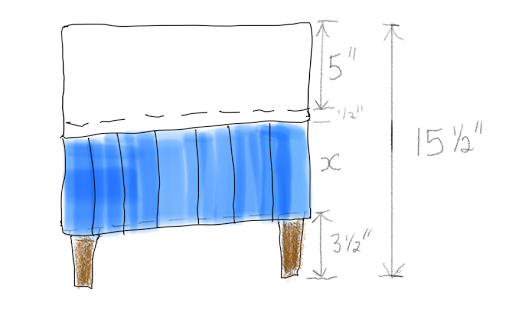 I just needed to do some math to figure out how long the pine shiplap boards needed to be to cover the small wood frame that holds the ottoman top to the bottom. So, in other words I had to solve for x and add a bit for overhang so the top of the legs which are screwed into the bottom of the plywood, are covered 1/2″ by the pine sides. Previously I showed the shiplap I made out of pine. I decided to paint the pieces and some nice people at the Dixie Belle Paint Company sent me some paint samples, so I used that. 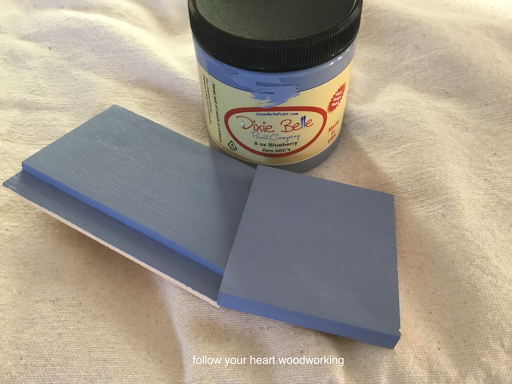 This is a nice creamy mineral paint that covered my pine in only one coat. I used Blueberry, but they have many colours to choose from. They also sent me samples of “Seaglass,” “The Gulf,” and “Fluff” to experiment with. Check them out at their site HERE, they are pretty colours that I haven’t had a chance to use yet. 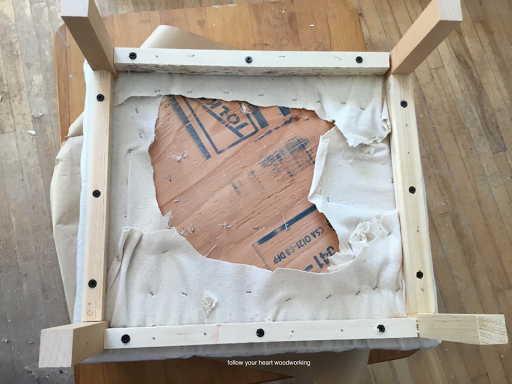 So, to put this thing together, first I put a piece of canvas drop cloth over the foam and stapled it to a piece of plywood that I sat the foam on. I fussed with the corners and then stapled everywhere I needed to, to keep the material on the plywood as neatly as I could. Then I screwed some pieces of scrap pine and poplar supports to the underside. 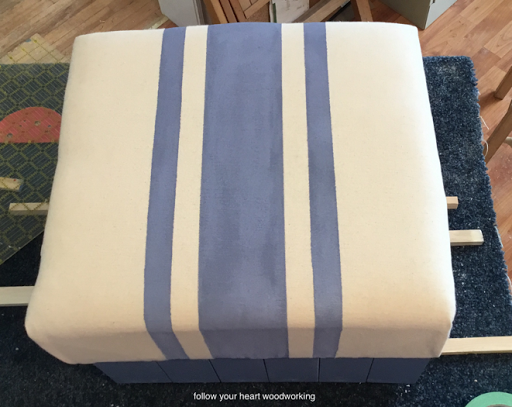 This is just in from the edge of the cushion enough to allow the shiplap to sit against the top of the supports and not stick out from the cushion top. At each corner I put a short brace. 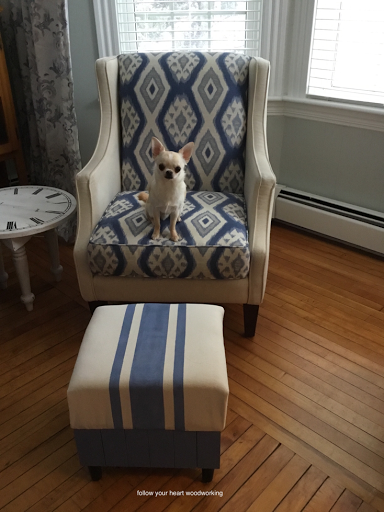 I painted stripes on the top, also using the blueberry Dixie Belle paint. 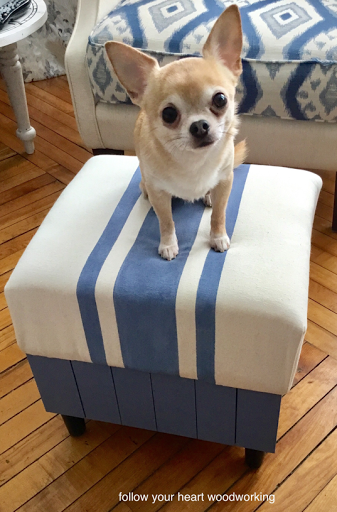 Here are some photos of the finished ottoman with my two Chihuahuas as models. 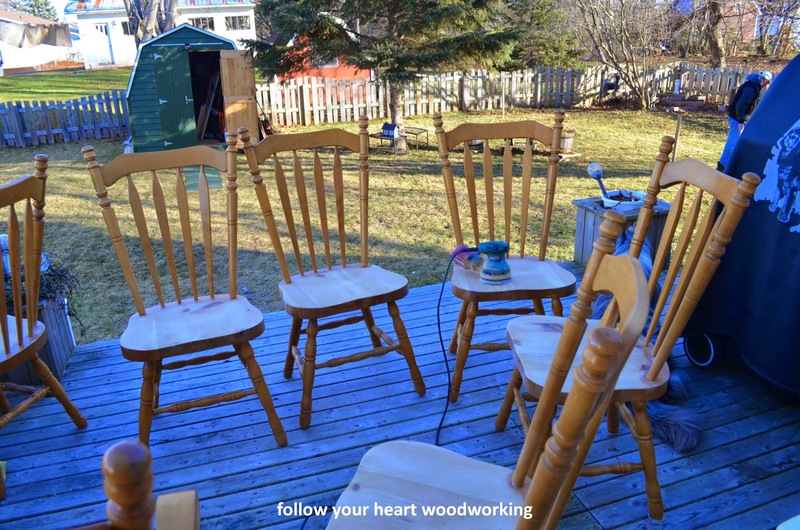 If you recall, I was remaking two arms for an old wooden chair that a customer, Jean, brought to me. I wrote about it here in August. 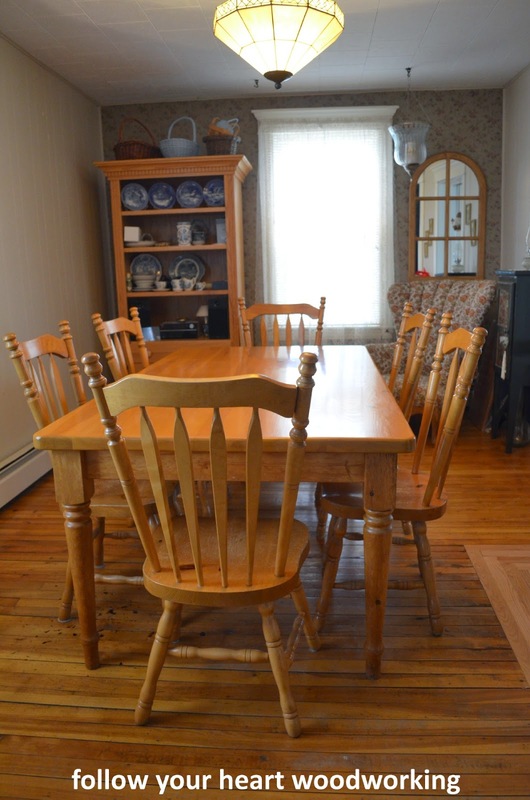 This chair was made in Maine but moved to Prince Edward Island with Jean who bought an old schoolhouse here. She uses it on the sun porch in her summer home about a 20 minute drive from my shop. I needed to drill holes for screws to go into the top of the arms, as well as countersink to allow for plugs to hide those screws. After making the arms from maple, Jean and I decided she would do away with the springs and metal strips in the seat area and have me make wood slats to replace them. I primed the chair frame and new slats (not shown) before attaching it all together. I find that makes it easier to get into spaces and around all the edges. 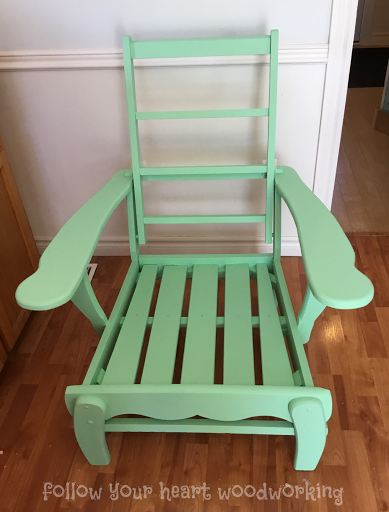 Then the arms and slats were attached and I painted the chair three coats of a lovely green that Jean chose herself. Jean was just delighted to see her chair and she has purchased some fabric and will have some thick cushions made locally, most likely over the winter. She has even promised to give me a “private showing” of her chair when it is all finished. Firstly, I apologize if you earlier got the photos from this blog post without any description. I’m still figuring out blogging on the iPad. I was asked to build a small table for the local bakery and café, called Maple House. It’s where my daughter works part time and the bakery that I made a welcome sign for. You can see that here. They needed something for the entryway to hold a book for guests to sign, as well as a suggestion box. 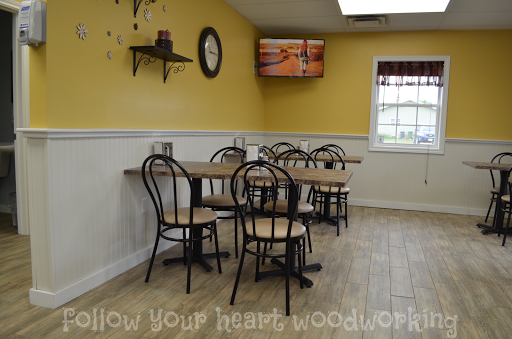 While inside the café the upper walls are yellow, the entranceway has light grey walls. The café tables have legs that are metal and are painted black with mottled brown tops. 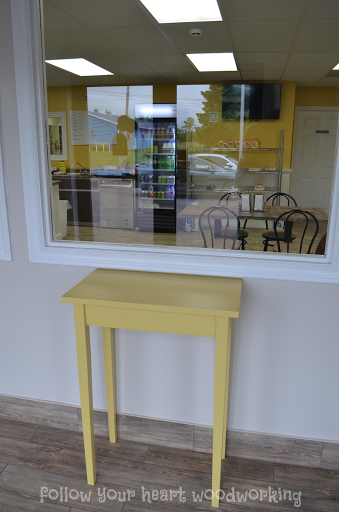 I felt the table in the entranceway should be yellow, to carry the customer’s eye into the café. Fortunately there was a partial can of yellow paint left over from the renovations, so I could use the same paint that was on the walls. Although this table is small, it took me over 20 hours to plane the wood, cut the pieces, route the beading, glue it together and put on three coats of paint! I was contacted by someone locally who had a window that she wanted made in to a coffee table. Could I do that? Of course! The window was brought in and I worked directly from it for measurements. The customer wanted it made out of pine and the height to be about 18″ with the window on top. 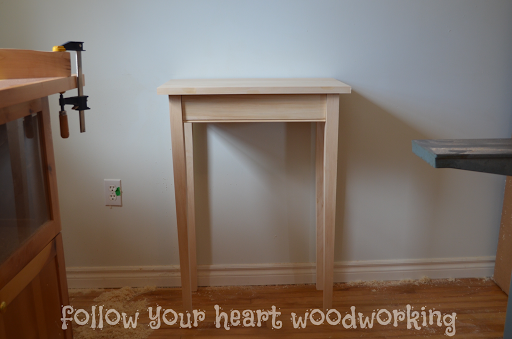 The four legs are just over 1 1/2″ square and I used my router to make mortises on the top for the aprons to fit into. 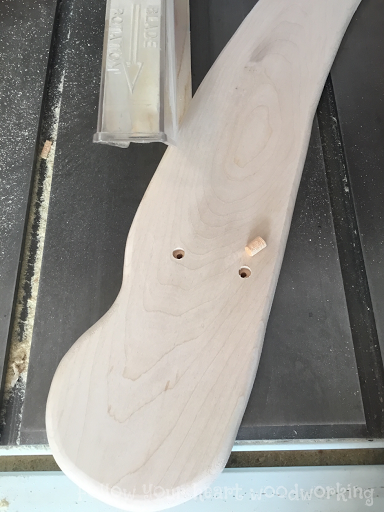 Every piece is sanded smooth before assembly. 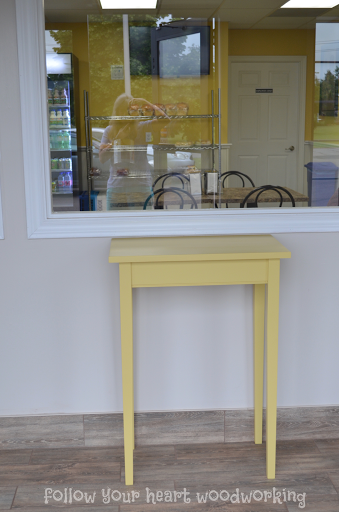 I have been working for the last couple of days on a counter for my retail shop. Because I don’t have much square footage in that room I wanted a counter that was not too large. I read an article a few years ago about selling at craft shows, which said that when you have customers it is best not to sit nor display your crafts at a regular table height. I found this to be true, because customers are usually standing, and if you are sitting on a chair, they are looking down on you. So… my counter would be made at a height that I could use while seated on a bar stool. 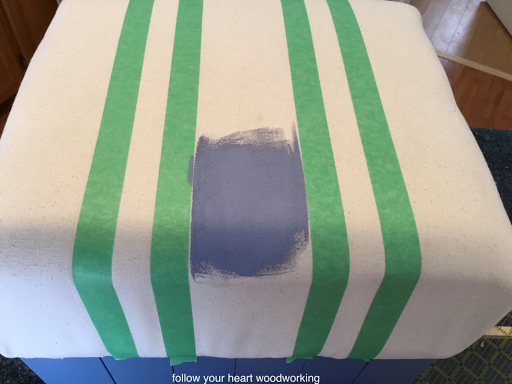 I decided to use 1″ x 4″ wood and paint the wood different colours and then distress them. This is how I make a lot of my products, with the distressed look. Since I am on an island, I chose beach type colours… white, two shades of turquoise and two shades of blue. 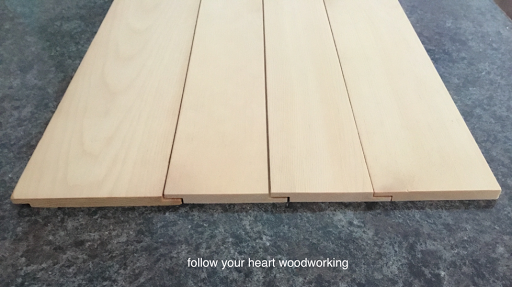 I laid out the pieces of wood to see how many I would need side-by-side to make the front of my counter and figured that ten pieces would be best. That ends up being about 36″ wide. I used only four pieces for the sides and it is U-shaped. The top was made with four pieces of the same 1″ x 6″ boards, which kind of look like barn board, they are a nice grey-brown. The top overhangs the front and sides by about 1 1/4″. Step right up, I’d be happy to serve you! 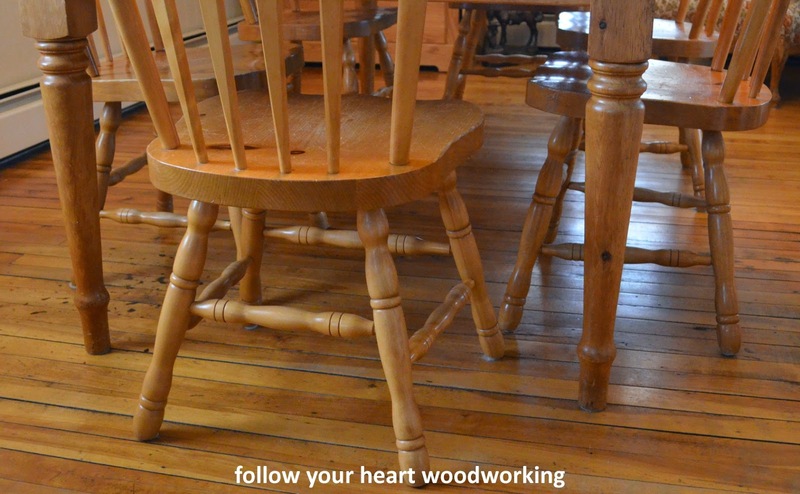 Darn… now I have to find a stool, I’m not sure I want to make one, but who knows? 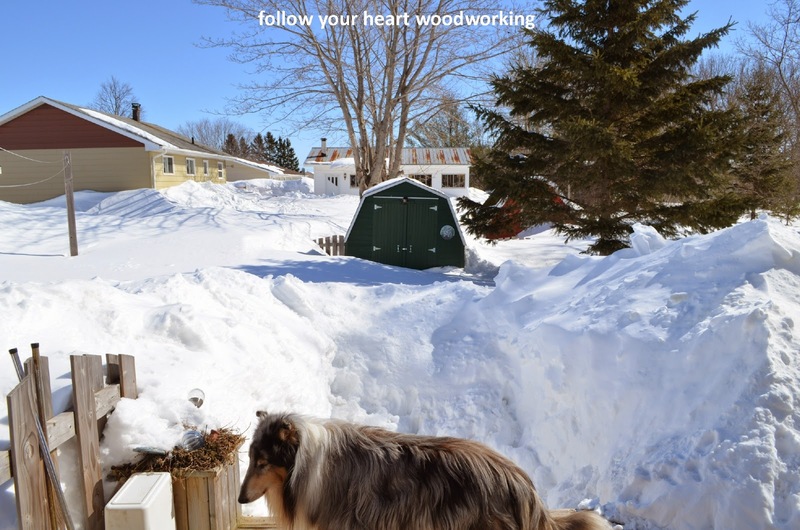 Even though I’m a carpenter/cabinetmaker and I love wood… this is too much wood on wood! As an aside, here is what it looks like out there today!!!! After sanding I brushed on a couple of coats of shellac (again, this was just the seats). This is the best thing for keeping knots from bleeding through. 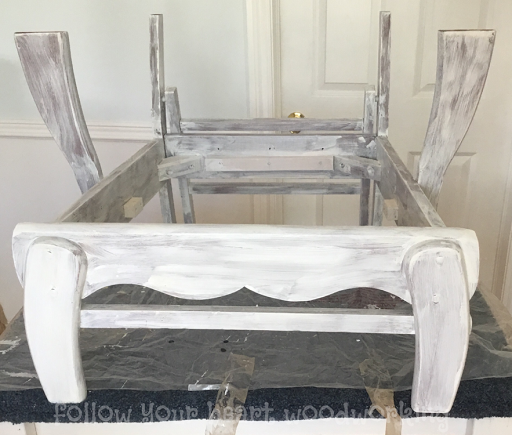 Once those were done I used Gail’s (My Repurposed Life) chalky paint , which is where you make your own primer using Plaster of Paris, a bit of water, and latex paint. 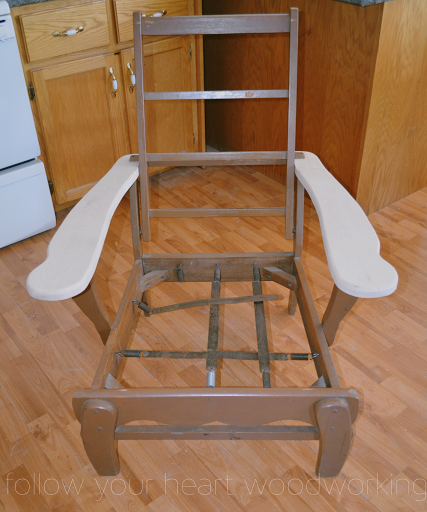 Then I coated the chairs with the same latex paint I had used in the primer. For the table I only painted the apron and legs and left the top as it was. 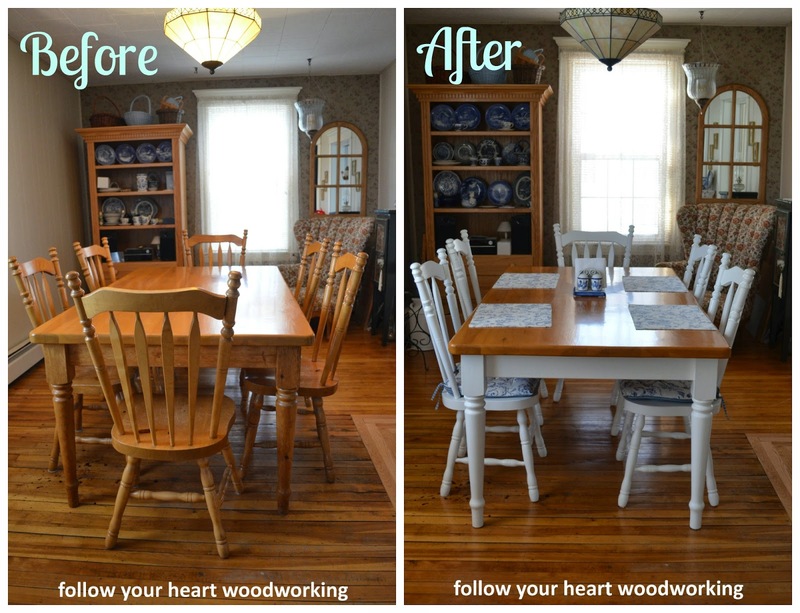 We haven’t done anything else yet in the dining room, but you can see the difference that painting the table base and chairs has made to the room. 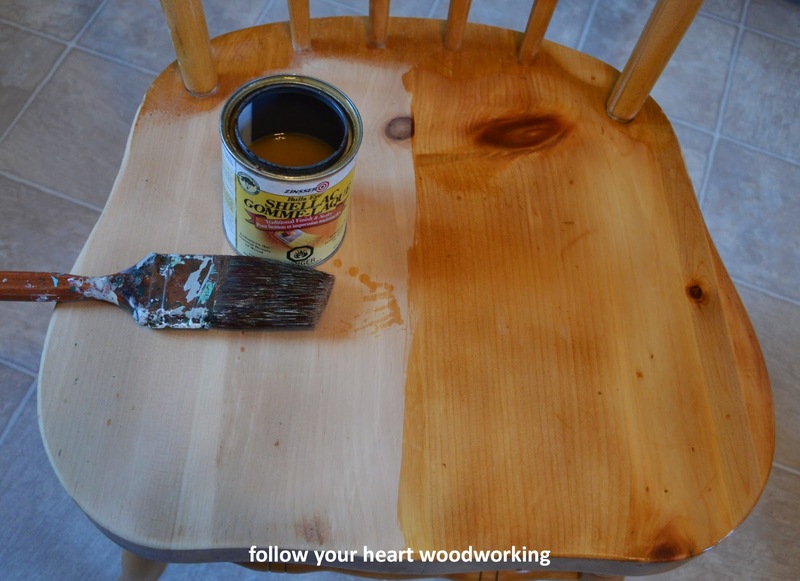 Do you think it was a good idea to paint this table and chairs? If anyone is keeping track, I really should be posting part 2 of our Biloxi trip. 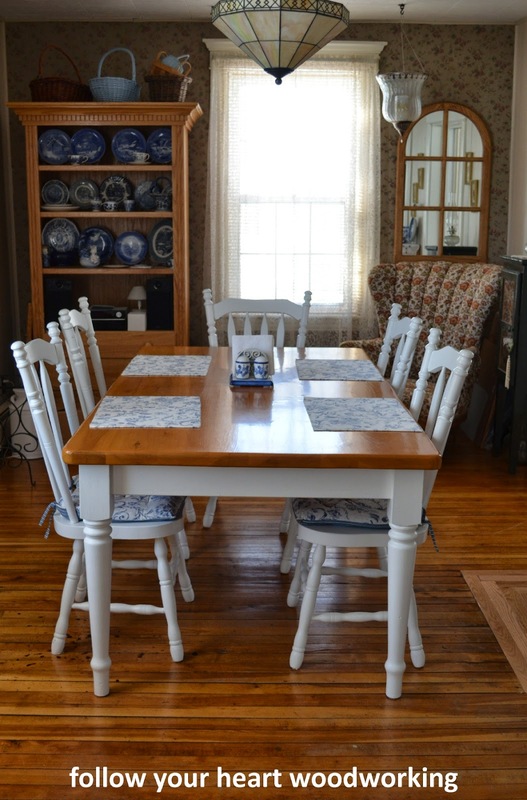 Since Angie at Knick of Time is having a Farmhouse special link up on Friday and the topic is Farmhouse Tables, I quickly put this together so that I could share it there. Stay tuned for Biloxi part 2. This is a post about something I started and never finished until recently. I am prone to do that. 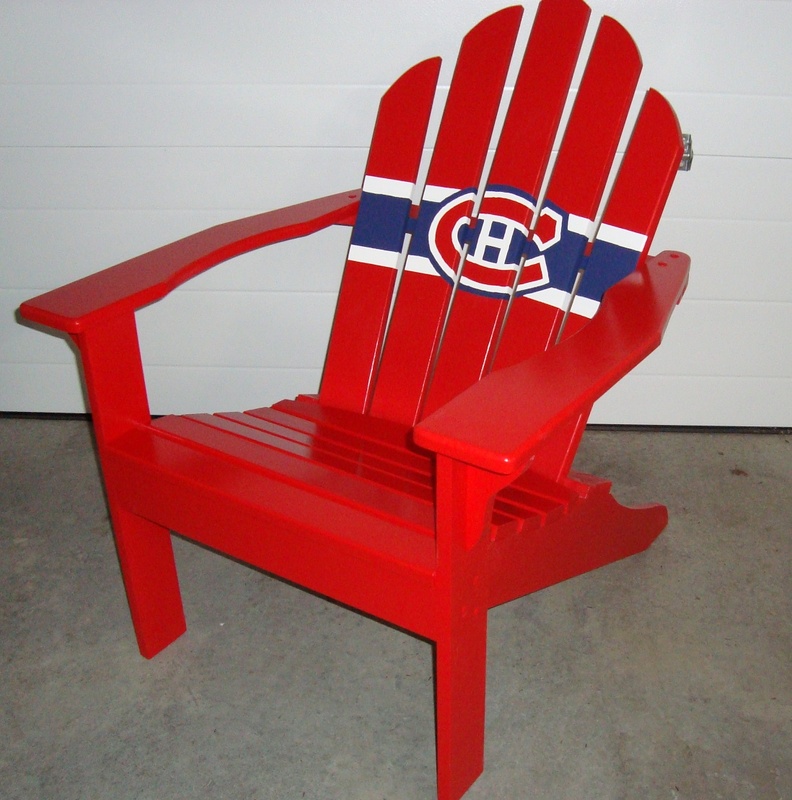 Over FOUR years ago I made my husband an Adirondack chair with his favourite hockey team emblem painted on it. He likes the Montreal Canadiens. 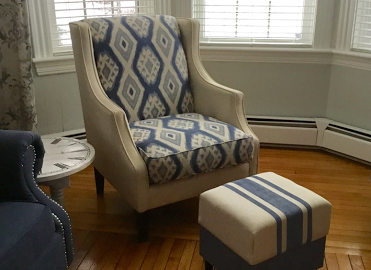 I blogged about his chair and how I made it, in December 2009. 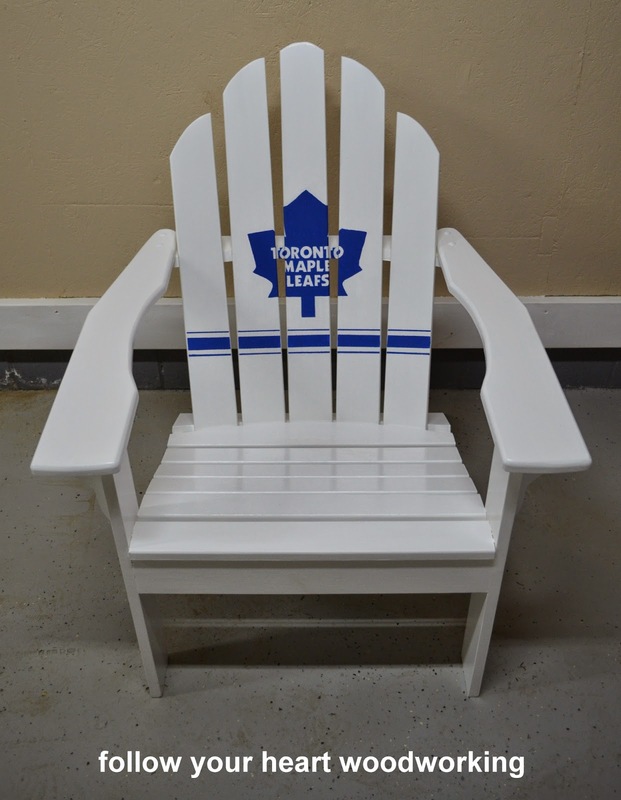 Now, the plan was that the second chair I was making at the same time, was for myself and would have the Toronto Maple Leafs logo on it. I have been a Leaf fan since I was a teenager… and they still haven’t won a Stanley Cup! My thought was, that I would paint my chair white with the blue logo on it. Since the team is so lousy, I had second thoughts and figured my chair would look nice sitting outside my shop with some flowers painted on it instead. My husband disagreed and insisted I go with the Leaf logo. Being the good wife that I am, I painted the Toronto Maple Leafs team logo on my chair.